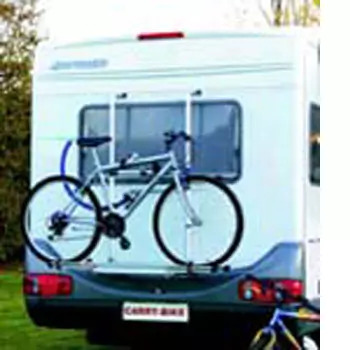 Surely investing in a motor caravan bike racks is one of the most essential caravan or motorhome accessories you will indulge in, providing a different leisure dimension to your camping holiday. 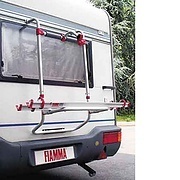 Of course Fiamma Bike Racks provide universally known and well trusted ways of taking your bikes on holiday when you go touring or motorhoming. 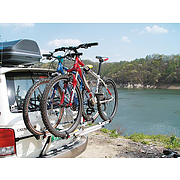 At Leisureshopdirect we stock a wide range of models suitable for mounting your family mountain bikes or your pride and joy road bikes safely and securely to the back of your 'van. 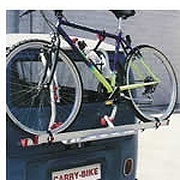 The Fiamma Carry Bike is recommended by industry experts because it is the strongest bike carrier on the market. 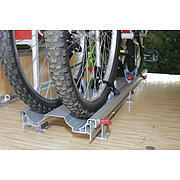 A Fiamma Bike Rack offers product reliability, peace of mind and easy-fitting. 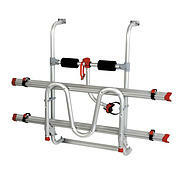 Every Fiamma Carry Bike comes standard delivered with two rails but can carry up to four bikes depending on the model. The Carry Bike is manufactured to the highest standard and is approved by TUV/GS, the certified German Quality Test institute. Although it can't be described as an 'essential', it is surely a top-of-the-list addition to your caravan or motorhome. 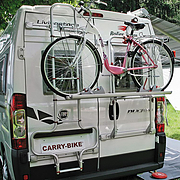 Using a Fiamma Bike Carrier is straightforward for everyone in the family. The design is intuitive with easy-to-use fittings which secure bikes to your 'van or motorhome in seconds. Whether you are a couple looking for an option to carry your road bikes or mountain bikes, with days out cycling in mind or a family looking to secure multiple bikes to the back of your home-from-home, Fiamma Bike Racks offer models suitable for all. 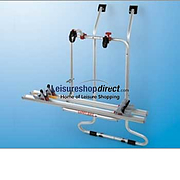 Leisureshopdirect carries a large range of Fiamma Carry Bike Pro, plus all the spares parts that you may require. Go to Fiamma Carry-Bike Pro + Spare Parts for all your spares requirements. 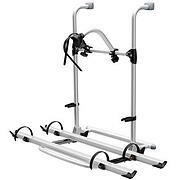 We also carry The Fiamma Carry Bike XLA Pro series, with, of course, all the spare parts that you may need. 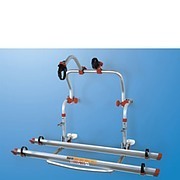 Fiamma Carry-Bike Pro, a very popular model due its flexible telescopic design. Please click through to next page to see schematic diagram. Fiamma Carry Bike Pro C + Spare Parts. 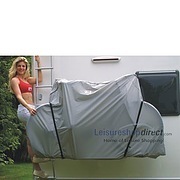 This model is suitable for most types of motor caravan with a rear window. Please click through to next page to see schematic diagram. 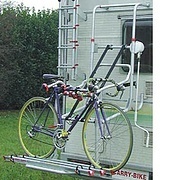 Fiamma Carry-Bike Caravan XLA + Spare Parts, fits most caravan 'A' frames. Please click through to next page to see schematic diagram. Fiamma Carry-Bike XLA Pro 200 + Spare Parts. 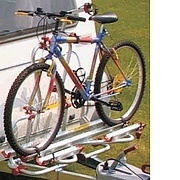 Fiamma Carry-Bike XLA Pro 200, fits most caravan 'A' frames. Please click through to next page to see schematic diagram. 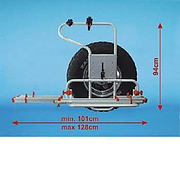 Fiamma Carry-Bike XLA Pro 300 08 + Spare Parts Please click through to next page to see schematic diagram. Fiamma Carry-Bike Pro Hymer + Spare Parts. 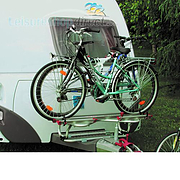 Fiamma Carry-Bike suitable for the Hymer/Detleff range of motorhomes. Please click through to next page to see schematic diagram. 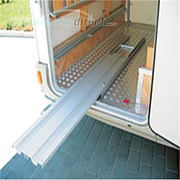 Fiamma 200D Carry-Bike + Spare Parts CARRY-BIKE FOR VANS WITH DOUBLE REAR DOORS. Please click through to next page to see schematic diagram. 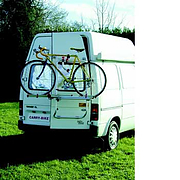 Fiamma VW type 2 Bike Rack - Pre 1980 + Spare Parts Please click through to next page to see schematic diagram. Fiamma VW Type 3 (type 25) - after 1980 + Spare Parts Please click through to next page to see schematic diagram. Fiamma VW T4 Carry-Bike + Spare Parts. 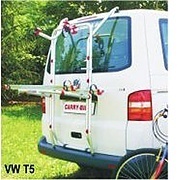 VW T4 Carry-Bike, for vehicles after 1991 attached to the rear of VW Tourers, and VW hatch back mini-vans. Please click through to next page to see schematic diagram. 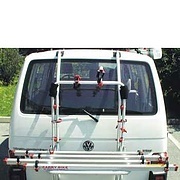 Fiamma Carry Bike VW T5 + Spare Parts, Simply hooks under and over the rear tailgate without the need to drill. Please click through to next page to see schematic diagram. 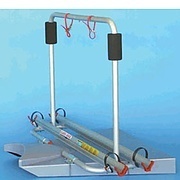 Fiamma Carry-Bike Lift 77 + Spare Parts. Please click through to next page to see schematic diagram. 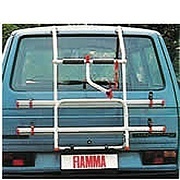 Fiamma Carry-Bike 4x4 Cycle Rack Spare Parts. Especially designed for 4-wheel drive vehicles. Please click through to next page to see schematic diagram. 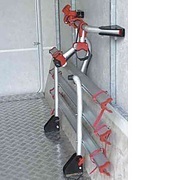 Carry-Bike for all motorhomes with garage storage facility. 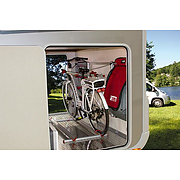 Fiamma Carry-Bike Caravan Universal. Fixes to the caravan frame. Please click through to next page to see schematic diagram. Fiamma Carry-Bike simple plus. 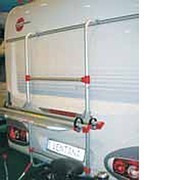 Suitable for caravans with weak rear walls - fixes to caravan rails and lower reinforced wall. Also suits curved wall vehicles. Strip bike fixing. Please click through to next page to see schematic diagram. The Fiamma Bike Cover Plus is weatherproof and fits all bike carrier brands. Available for 2, 3 or 4 Bikes. 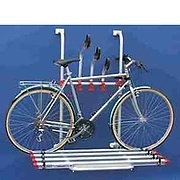 The most comprehensive collection of quality bike racks available on the planet. 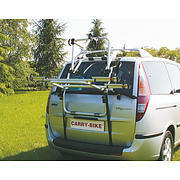 Carry-Bikes are suitable for caravans, motorhomes and cars including MVP's and 4x4 vehicles. Fiamma Carry-Bikes are built to endure with unique features that guarantee sturdy, rust proof, secure and problem free use. Most popular models are available from stock and will become available to buy from our online store as soon as possible. Currently there are over 40 individual Fiamma Carry-Bikes available. 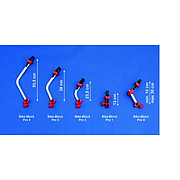 The models contained within this page represent some of the most popular models that we sell.